More difficulty at the Mint. like an obese ward boss. 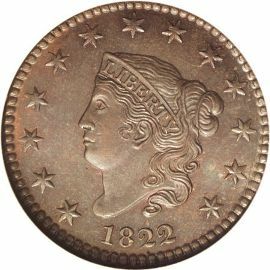 The reverse of these copper coins went unchanged and kept the laurel wreath of John Reich's design. 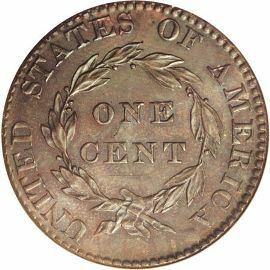 The reverse has the inscriptions "ONE CENT" within the wreath, and "UNITED STATES OF AMERICA" around the top. The wreath is held together with a bow.